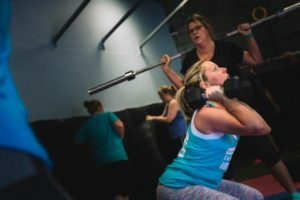 PlayFITStayFIT is a locally owned and operated HIIT gym that concentrates on low weight, high rep movements to maximize fitness levels, weight loss, and toning. PlayFIT also is able to vary workouts to keep things interesting and shock the bodies system. 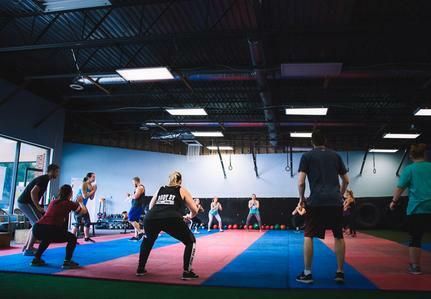 Playfit offers over 28 classes and weekend personal training session per week to accommodate any schedule! Our custom workouts by certified personal trainers are scaled to fit your fitness level. 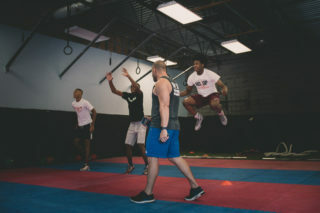 We use cardiovascular, body weight, and weighted activities on various days to keep workouts interesting and effective. At PlayFIT we can help take your team to the next level. We will work with your team on conditioning and sport-specific fitness training.